Kinship Productions was founded in 1977 by Bob Hite, a veteran photojournalist whose work has garnered multiple Emmy’s, Addy's and other industry awards. Bob launched his career as a photojournalist in the Marines in 1967 and after his discharge in '69, he worked in radio and industrial films. In 1974 he joined the staff of WPVI-TV in Philadelphia as a photojournalist and anchor. 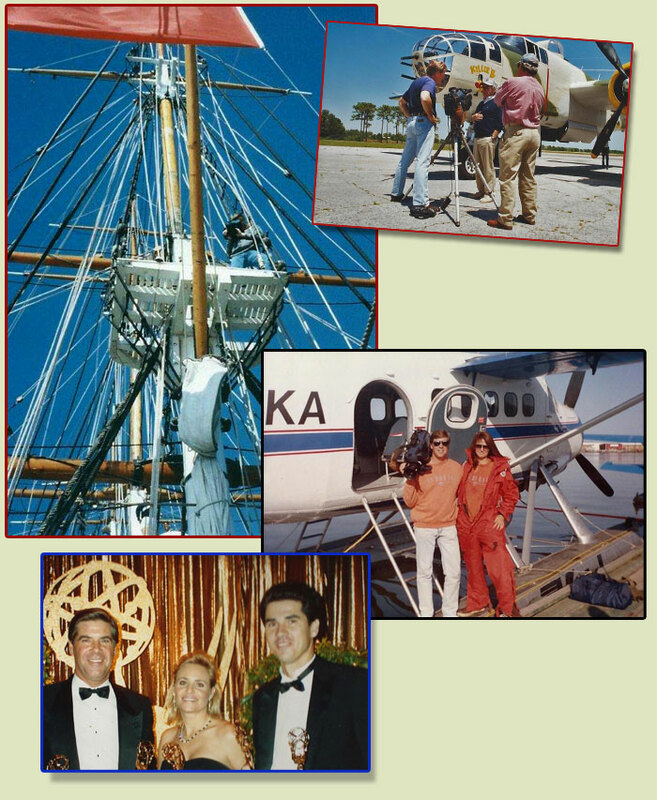 An avid sailor and owner of a classic wooden ketch, the Kinship, he literally cast off from Philly in 1977 and sailed to Tampa Bay and a new job with WFLA-TV, the NBC affiliate, where he could better pursue and enjoy his passion for the sea. In Tampa, he not only anchored the news but developed, shot, wrote and edited all his stories on land, on and under the sea and in the air for thirty years. Bob was also a contributing correspondent for NBC and CNN. Throughout his career he has specialized in environmental, maritime and military features and documentaries. Assignments have taken him to far away corners of the world from the Amazon to Afghanistan, Alaska to Iraq. He has flown with the Blue Angels, the Thunderbirds, skydived with the U.S. Army's Golden Knights and lived with aquanauts in habitats beneath the sea. Bob has reported on every war since Vietnam and in his last assignment to Iraq, the Humvee in which he was riding was blown off the road by an IED (thankfully no one on board was seriously injured). Bob is a Coast Guard licensed captain, mixed gas diver, horseman, marksman and “mediocre” skier. He is a life member of the U.S. Marine Corps Combat Correspondents Association, the International Documentary Association, the Broadcast Pilots Association and the San Juan Fliers. Kinship Productions excels in commercial, industrial and music videos as well. We are the only production company to be approved with total creative control in producing local spots for McDonalds and among our Emmy Awards are two in the Music Video Category. When not traveling on assignment Bob makes his home on Florida's Pine Island Sound.